Bridget Nave is a member in the St. Louis office who represents individuals in a wide range of estate planning techniques. She also represents business entities and individuals in taxation and general corporate matters. Bridget’s estate planning practice includes sophisticated estate planning techniques such as grantor retained annuity trusts, insurance trusts, intentionally defective grantor trusts, asset protection planning and joint spousal trusts. Bridget’s taxation practice includes representation of individuals and entities before the Internal Revenue Service as well as tax-exempt entity formation and classification, and tax planning in business and individual transactions. Bridget’s practice also includes general corporate representation, handling day-to-day legal matters for business clients, such as negotiating and drafting agreements, entity formation matters, and corporate governance issues. 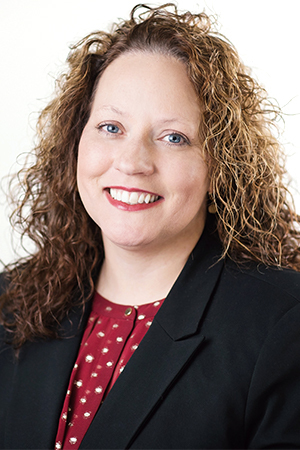 Prior to joining the firm in June 2007, Bridget spent over 5 years as an estate planning and taxation lawyer with a large Clayton law firm after obtaining her LLM in taxation from Washington University School of Law. Bridget is active in charitable and religious activities in the St. Louis area, including Sts. Joachim and Ann Catholic Church and School.